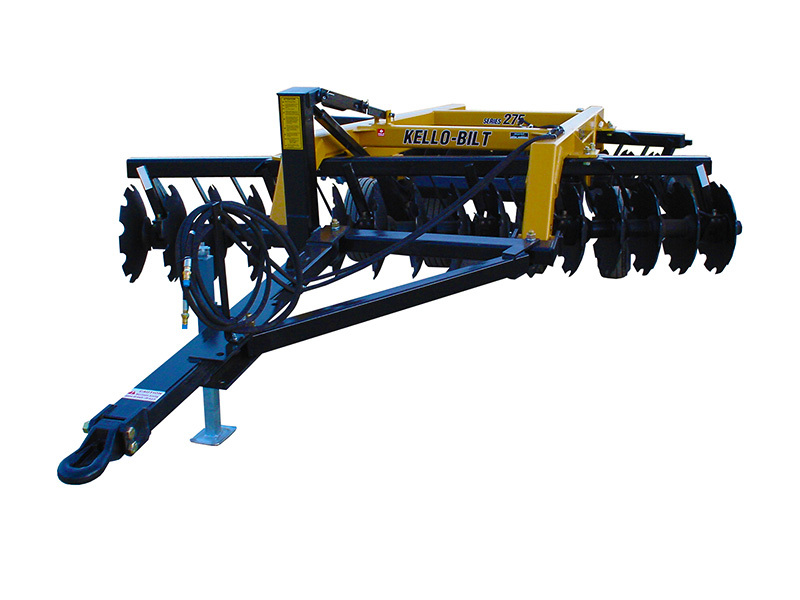 This model is a wide single offset disc featuring hydraulically folding gang bars for ease of transport. When unfolded the wings are held rigidly in place with over-center locking assemblies. 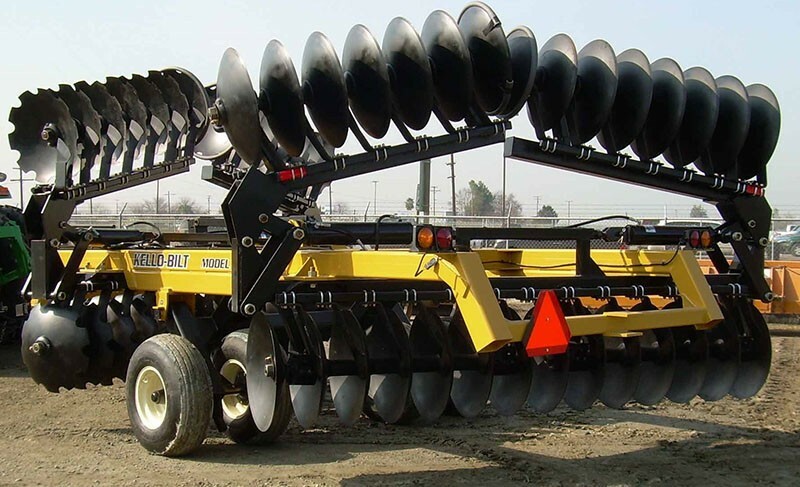 Ideal for row crops in leveled fields. 6" x 6" x 3/8" high strength steel tubing, fully welded and reinforced. 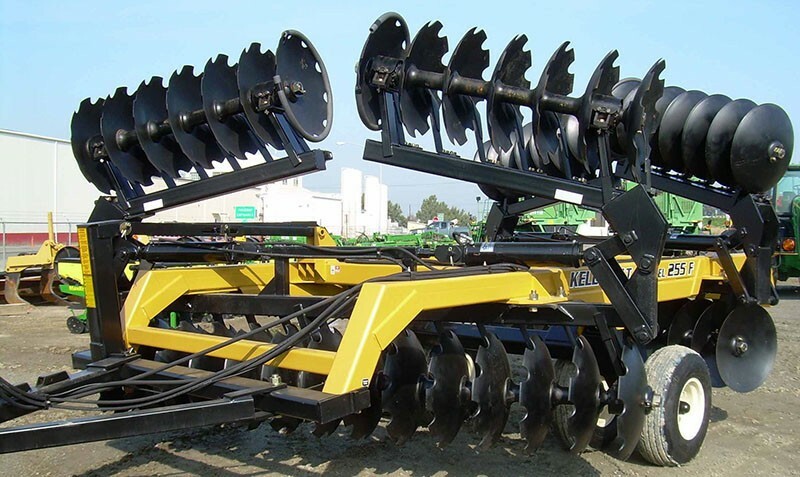 Comes with four 11L x 15 (load range F) highway implement tires mounted on 8 bolt hub assemblies. 5" x 12" and 5" x 20" hydraulic cylinder complete with hoses, depth control segments and cylinder transport lock.